Scott Hukriede, CPA is professional CPA with deep experience as an Orange County Bookkeeper. He is well equipped to handle all of your business’ bookkeeping needs, including accounts payable, accounts receivable, payroll monitoring, tax records, banking, credit card record-keeping, and every other aspect of financial reporting. Scott Hukriede, CPA’s CPA service offers you full-charge bookkeeping, account controls and management, and utilization of powerful financial software programs. Whether your business transactions are primarily in cash, use a full accrual approach, or a modified accrual approach, Scott Hukriede, CPA has the expertise to help you succeed. The basic duties of a full-charge Orange County Bookkeeper will typically include such things as daily transaction entries, constant maintenance of detailed, up-to-date accounts, and daily, weekly, or monthly reporting on your business’ financial situation. Many bookkeepers will also handle your payroll process or, at least, make a record of all payroll transactions processed by another party. 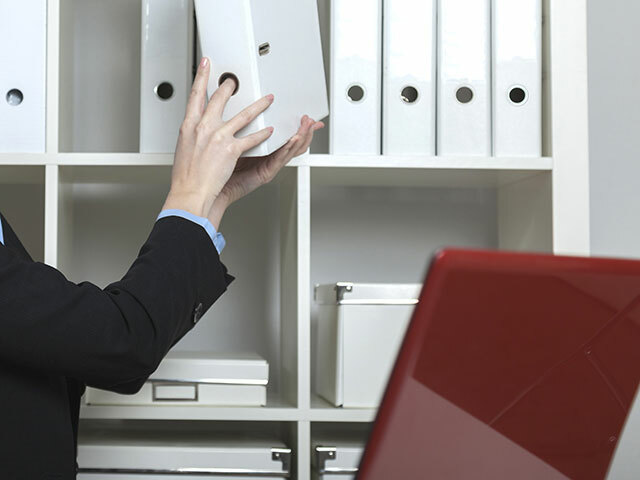 In either case, you get full records of gross wages, tax deductions, and all other payroll expenses and liabilities. Scott Hukriede, CPA can provide you with any of the above services, and you are free to choose which specific items you desire assistance with and precisely how you prefer the records to be kept. More specific Orange County Bookkeeper duties that Scott Hukriede, CPA can provide you with include full handling of the following: vendor bills and bill-payments, client invoices, payments, and deposits, time-tracking and job-cost reports, classification of expenses, account reconciliation, sales tax filing, and sales commissions. Somewhat more advanced services at your disposal include: budgeting and forecasting, inventory management, 1099 form processing, tax and audit support, cash-flow statements, and profit and loss statements. Scott Hukriede, CPA is a full-service CPA with extensive bookkeeping skills, and if you have any special needs or requests, you can feel free to consult with him about it. The overall benefits of using an Orange County Bookkeeper are many and varied, but the most important ones include the following: confidence that a seasoned financial expert is handling all of your transaction records, constant access to your up-to-date and accurate records, and the ability to focus your time and efforts on managing your business instead of dealing with the rote, financial details. Scott Hukriede, CPA has gained a reputation for fast, accurate, and accessible bookkeeping services in Orange County, and he has many clients in all of the following locales: Anaheim, Santa Ana, Garden Grove, Brea, Fullerton, Westminster, Long Beach, Riverside. Scott Hukriede, CPA also offers a $25 discount towards your next consultation, so do not hesitate to contact him for help with all of your bookkeeping needs. Scott Hukriede, CPA is a certified public accountant with extensive experience in assisting local businesses and individuals with their Orange County tax preparation. As tax time rolls around each year, those who are well prepared reap the benefits, and those who are not suffer the consequences. Professional CPA services can save you hundreds or even thousands of dollars on your tax returns, and the sooner you begin to organize for tax season, the better are your chances of maximizing your savings. For business owners, the Orange County tax preparation services of Scott Hukriede, CPA can simplify a complex process. Busy business men and women often do not have the time to learn all the local, state, and federal laws that will affect how they file their taxes, and these regulations are constantly changing. Furthermore, there are often deductions and credits to be had that business owners are not aware of. 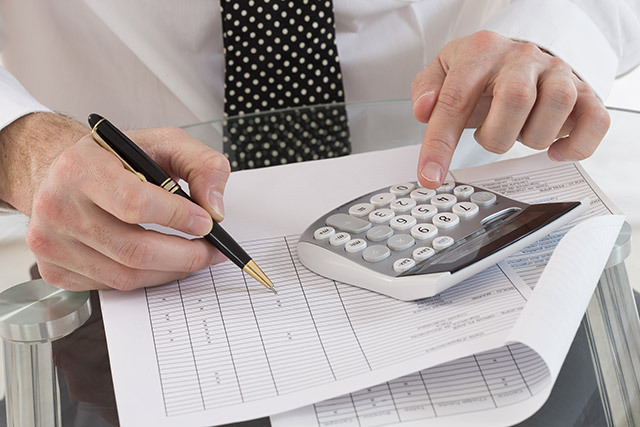 Thus, outsourcing all tax preparation work to a skilled CPA is frequently the best option. Scott Hukriede, CPA can not only help you to minimize your tax bill and keep fully compliant with all tax laws, he also can assist you in forming tax strategies that will save you even more in the years ahead. When filing your personal income tax returns, whether state or federal, a multitude of possible deductions and tax-related questions will face you. Charitable donations, interest paid on student loans, energy efficiency ratings, offshore assets, health insurance policies, and more will all affect the size of your tax return. Orange County tax preparation agents like Scott Hukriede, CPA deal with all of these details on a daily basis and have the expertise to thoroughly analyze your finances and take full advantage of every benefit that is available to you. Scott Hukriede, CPA always takes the time to carefully review each client’s tax situation, and his diligence often pays off by finding deductions that others miss. He can guide you step by step through the whole process and keep you fully informed of your tax status all along the way. Westminster, Long Beach, Riverside. If you are a first-time client, be sure to avail yourself of the $25 discount he offers on your first consultation. Scott Hukriede, CPA is an experienced Orange County CPA who offers a wide range of services to both businesses and individuals. He understands the legal and financial realities that people in Orange County face every day, and he works hard to ensure that every one of his clients is served in a prompt and courteous manner. To assist local Orange County businesses, Scott Hukriede, CPA offers a full array of services that have helped his many commercial clients improve their bottom line. These services include such things as payroll and sales tax returns processing, business accounts management, financial record-keeping, accounting control mechanisms, and general business finances advice. A second area of service that Scott Hukriede, CPA is well equipped to handle involves assisting law firms in preparing for and winning their cases. Scott Hukriede’s broad expertise in business finances make him an Orange County CPA in high demand among local legal practices. By providing accurate valuations of business’ net worth, analyzing their financial records, working to ensure full discovery of all business assets, and providing expert testimony in court, Scott Hukriede, CPA gives law firms the kind of litigation support they need to be successful. A third area of Orange County CPA services that Scott Hukriede, CPA provides is business and personal tax services. This includes both federal and state tax return preparation, optimization of current deductions and credits, and long-range planning to minimize tax payments in the future. Scott Hukriede, CPA is also skilled at representing his clients before the IRS or state-level tax board. He knows the details of tax laws and can assist you through an audit or other trying situation. Finally, he also offers individuals and families expert advice on best budgeting practices, goal-setting and achievement, debt reduction and restructuring, investment portfolios, retirement planning, and more to enable his clients to obtain a high level of financial stability. Scott Hukriede’s fourth and final main area of financial expertise as an Orange County CPA is in the arena of estate planning. The threat is very real that governments and lawyers will consume a large portion of what we leave behind and wish to bequeath to our children or other loved ones. By carefully planning out your estate well in advance, it is possible to secure a smooth transition of your property with minimal loss. Scott Hukriede, CPA has the knowledge and experience to assist you in the wise handling of your business and personal financial affairs. He offers a $25 discount to all first-time clients and serves all Orange County with his expert CPA services, including the cities of Anaheim, Santa Ana, Garden Grove, Brea, Fullerton, Westminster, Long Beach, and Riverside.